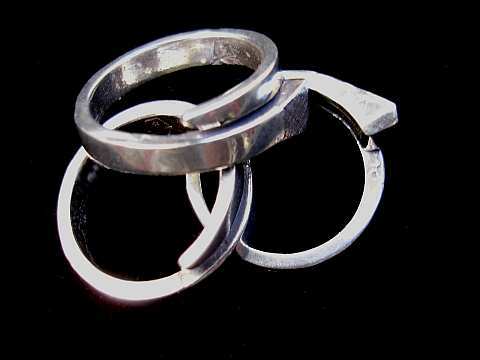 Sterling silver horse shoe nail ring that can be adjusted for size by award winner Susan Adams. Priced individually. Please Note: Item may not currently be in stock. Please contact us for delivery status.